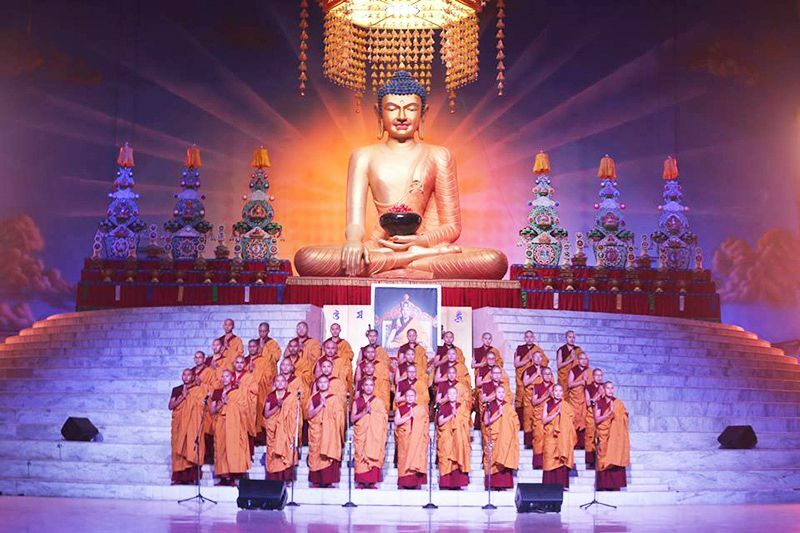 For Buddhists of all traditions, Bodhgaya is the most sacred place on Earth. 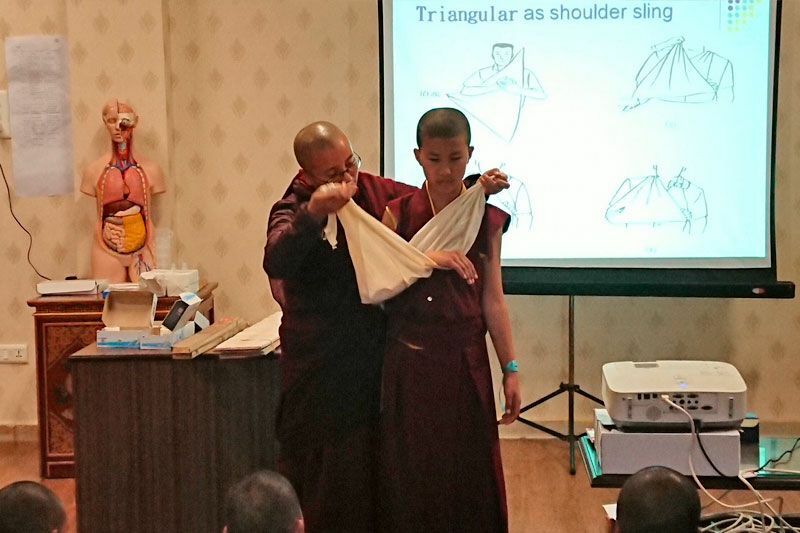 For the thousands of ordained Sangha and lay practitioners who gather at the Kagyu Monlam each year, sitting in the magnificent Monlam Pavillion, receiving inspiring teachings and making aspiration prayers together is like visiting Dewachen. However, for the people who live here all year round their reality is rather different. Who can fail to be moved by the poverty and suffering that we witness? 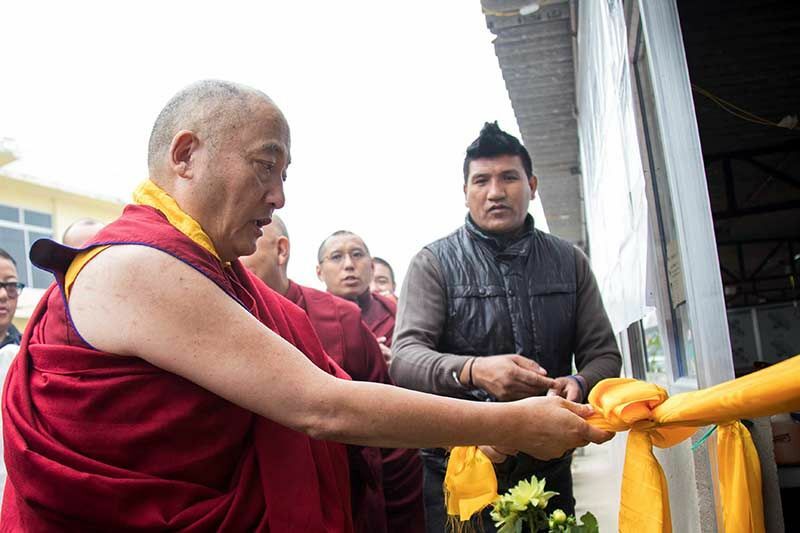 Although there is no easy solution to the complex problems that the local people face every day, it feels important for those of us who benefit from the Kagyu Monlam to do what we can to help the people of Bodhagaya and the surrounding villages. Some years ago, when providing a Medical Camp and Soup Kitchen in the villages around Bodhagaya, members of the Compassion in Action team became aware of the needs of the girls who live at the Kasturba Gandhi Vidalaya Hostel at Baseri. Since 2017, the Kagyupa International Monlam Trust and the Hart Knowe Trust have been improving the facilities at the hostel by installing ceiling fans to keep the girls cool in the hot summers as well as providing a water purification system and wash basins to help maintain good standards of health and hygiene. The project is aimed at making a long-term impact and it has been carefully monitored with regular visits to ensure that the help that has been given is really making a difference. 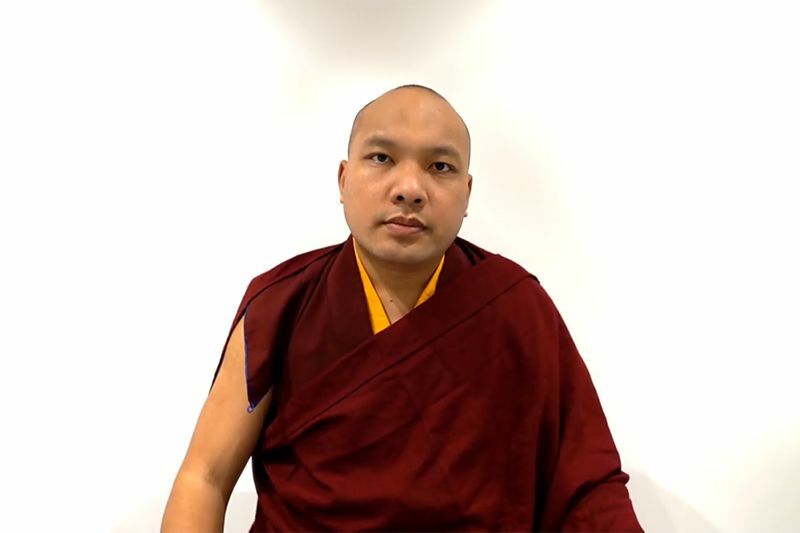 Lama Chodrak, CEO of the Kagyu Monlam, has visited the hostel on many occasions and despite his many other responsibilities continues to offer his encouragement and support whenever it is needed. 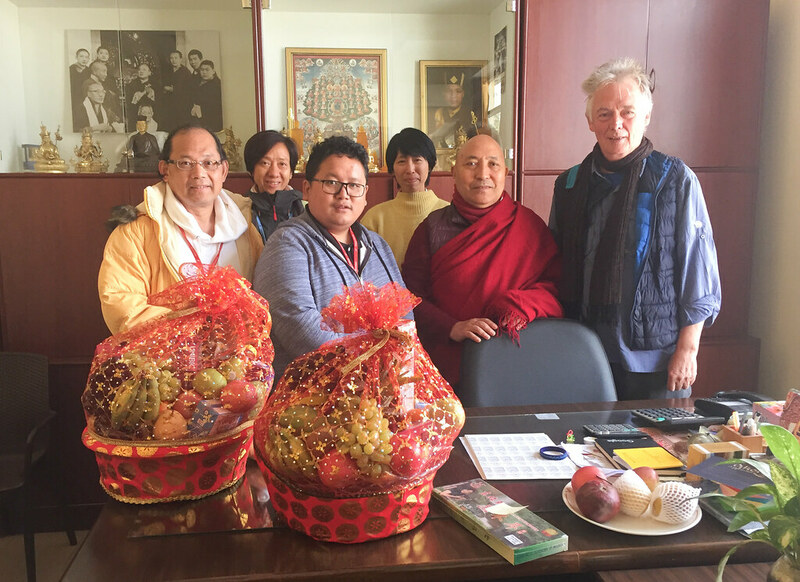 On 19th January 2019 trustees of Hart Knowe Trust made their annual visit to the Kasturba Gandhi Vidalaya Hostel with Jangchup Lingpa, Secretary of the Kagyupa International Trust, who reports directly to Lama Chodrak. They received a warm welcome from the 99 girls aged between 10 and 14 years old who live at the government-subsidised hostel in order to be able to attend the local government school. The girls come from families living below the national poverty line in the surrounding villages. It is clear that they are cared for in an environment where they feel safe and happy. Although conditions at the hostel are basic, the buildings and grounds are kept very clean and tidy. 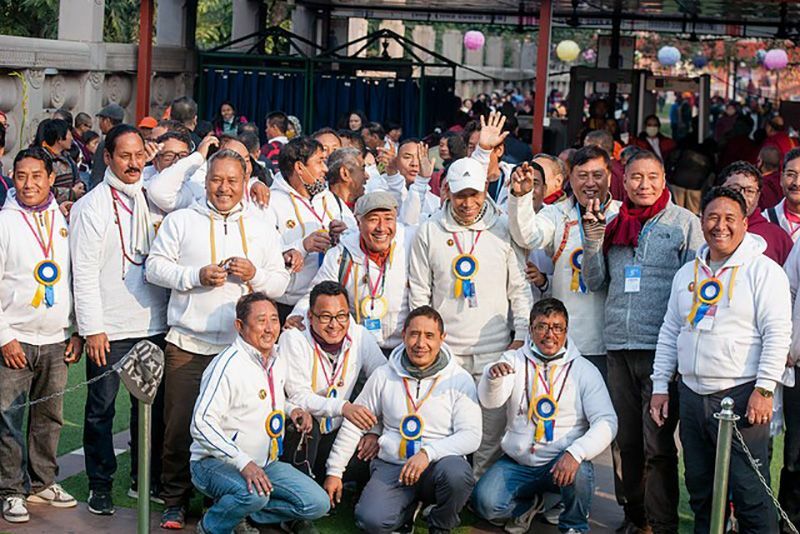 Sometimes it is the small things that make an impression and members of the Compassion in Action group remarked how all of the shoes were left in nice neat rows – a good example for those of us who participate in the Kagyu Monlam! Since last year the project has been providing sanitary towels for the girls since even this basic necessity had not been readily available. This sponsorship will continue. As well as presenting the school with books about the wonders of the world we live in, Marilyn Harris of the Hart Knowe Trust talked to the girls about health and hygiene issues and gave them a book which contained more detailed information. The girls were also given school exercise books, pens, sports equipment and other small gifts; things that many children would take for granted represent a special treat for them. The girls took turns to recite poems and sing songs. In a spirit of friendship, the visitors responded with short speeches and songs from their own countries. Soon it was time for the girls to begin their day at school. Following the visit, Vin and Marilyn Harris from the Hart Knowe Trust said, “We can see that this project is making a difference to the lives of 99 young people and that in itself is worthwhile....yet as we listened to their aspirations to be teachers, doctors, nurses, to serve in the police force or the army we found ourselves wishing we could do more to help them reach their potential and we are looking into what more we can do”. The need for Compassion in Action is limitless and endless.